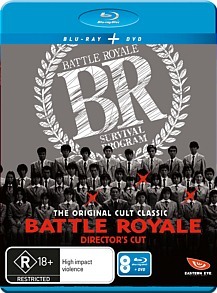 Battle Royale Director's Cut Blu-ray Review. If the watered down exploits of Katniss and friends left you wanting more, or you just want to rediscover a cult classic, then this Blu ray release is the definitive Battle Royale experience. Just be sure to avoid the terrible sequel. 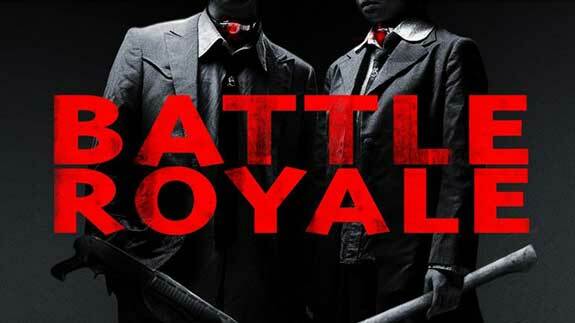 Battle Royale - You’ve probably heard of it in some capacity, whether it be due to the storm of controversy that surrounded it during its initial release, the many failed attempts to get it released in post-Columbine America or more recently being touted as a stylistic inspiration for the ‘The Hunger Games’, albeit sanitised for the Twilight generation. It’s also been touted by Quentin Tarantino as his favourite film of the last twenty years and regularly tops critics’ best of lists. 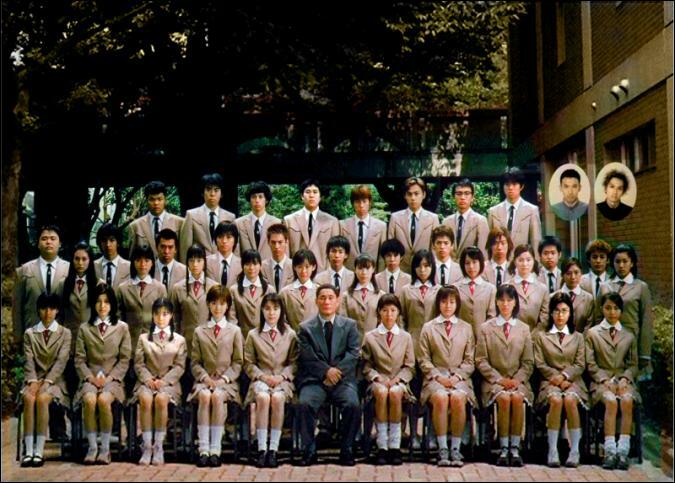 In the alternate Japan of Battle Royale, unemployment is at an all time high and truancy and drop-out rates in the school system are just as bad. Children just don’t respect their elders anymore; it is this tenuous relationship between young and old that is cited as the reason behind the government enacting the BR act, which allows them to randomly select a ninth grade glass and ship them off to a deserted island for three days of carnage. Collars are attached to the children’s necks in order to monitor their vital signs and movements on the island; to deter any potential escapees, these collars are rigged to detonate if tampered with or if the wearer is caught in one of the constantly changing “hot zones”. The children are informed that the only way to survive is to slaughter each other, given a bag containing food and water, a map, compass and a random weapon (Which could be anything from a machine gun to the lid of a saucepan) and let loose on the island. Finally, if, at the end of the three days, more than one student survives, everyone remaining has their collars detonated. As mentioned above, the film was incredibly controversial upon its release, being denied distribution in certain territories and outright banned in others; it only received an official release in the U.S on May 20th, 2012, twelve years after it came out in Japan. Although America’s knee jerk reaction is understandable in light of the spate of school shootings and the subject matter of the film, one suspects that even without these mitigating factors the film would have still encountered difficulties with distribution and censorship, as it positively revels in violence for violence sake – all the while being perpetrated by children. The final film directed by Kinji Fukasaku, Battle Royale is confronting in its themes, gratuitously gory and so gleefully over the top that it’s hard to view it as anything more than sheer exploitation. Yet, if you look beyond the exploding heads and bullet riddled corpses, you’ll find a film imbued with social commentary that explores the effects of the generation gap, the societal pressure to achieve and the transition from the school system to Japan’s cut-throat employment market. The Director’s Cut adds eight minutes of footage to the film, most noticeably a basketball game that is used as a framework for the entire film. Other additions include character building flashbacks and slightly extended and CGI enhanced pre-existing scenes. Although these extra scenes add more insight into some of the characters and their motivations, the pacing suffers slightly in comparison to the original release. First off, the English dubbing is laughable. At times it feels like you’re watching Kung Pow: Enter the Fist, the voices are so stilted and emotionless. Thankfully, the film defaults to the Japanese audio, with the dub existing for those of us who can’t be bothered reading subtitles, so this isn’t really a big deal. The audio is in Dolby TrueHD 7.1 for the Japanese audio and 5.1 for the dub and it sounds amazing; sound effects and dialogue are crystal clear and the sweeping orchestral arrangements are an absolute joy to listen to. The immersive quality of the audio really is top of the line and should be commended. Due to age and film quality, the visual presentation was never going to be able to compete with more recent releases, but the film honestly looks better on Blu than it has any right to. Colours are especially vivid and pop off the screen and the film quality is much clearer than on DVD, with noticeable gains in smaller details such as bullets, hair, facial features and the like. The image comes off as a little flat, but this is more due to the film stock than an issue with the transfer. Especially welcome is the clarity that now accompanies night scenes, which were rather muddy on the initial DVD release. Surprisingly, the only Special features on the Blu Ray are Subtitles and the English dub, which appears for the first time on a region four release. The main crux of the features is instead in standard definition on the accompanying DVD. The jewel in the crown is the exemplary Making of featurette, which despite having no real structure, offers a level of access behind the scenes that isn’t normally afforded by Western films. All in all, Battle Royale has a great batch of special features that enhance your appreciation for the film, with only the Tarantino TV spot appearing superfluous. Including the theatrical version on the DVD would have been a nice touch and seems like a bit of a missed opportunity on Madman’s behalf. It’s also rather sad that the packaging is adorned with a sticker that capitalises on the popularity of the vastly inferior Hunger Games series in order to appeal to a younger demographic, but anything that serves to get this brilliant film noticed by the mainstream can only be a good thing in the long run. Despite some cheesy moments and dialogue reminiscent of a soap opera, I personally enjoy the Director’s Cut over the theatrical edition, and would strongly recommend picking this up. If the watered down exploits of Katniss and friends left you wanting more, or you just want to rediscover a cult classic, then this Blu ray release is the definitive Battle Royale experience. Just be sure to avoid the terrible sequel.